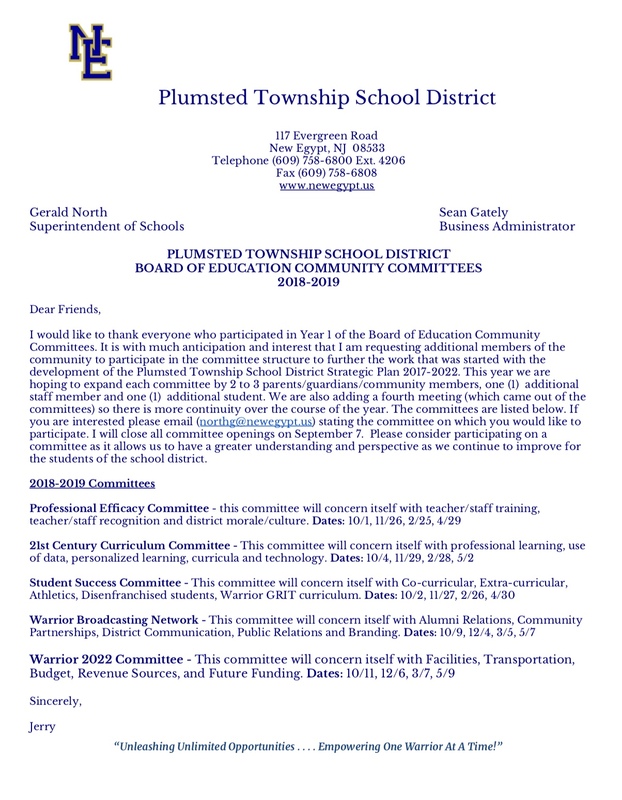 The Plumsted Township Board of Education will hold a Special meeting on Wednesday, May 1, 2019 for the purpose of discussing personnel and conducting a public hearing on the 2019-2020 budget. 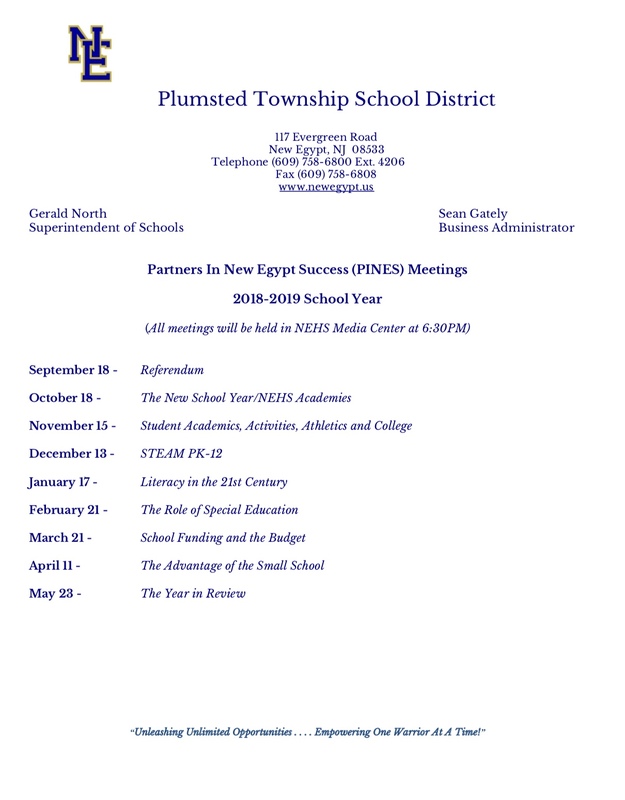 The meeting will be held at the New Egypt High School IMC, 117 Evergreen Road, New Egypt, NJ 08533, and will convene at 6:30 p.m. for executive session and 7:30 p.m. for public session. The Plumsted Township School District shall inspire all students to realize their personal potential. A rich and challenging learning environment, in partnership with the community, will develop critical thinkers, lifelong learners and productive citizens in an emerging global society. For forms and policy, click here. You can now stay updated on district information by visiting our Facebook Page.. In the event of inclement weather, please visit the district website or visit the Facebook Page. In addition, we will activate the automated calling system.